Details are sketchy because police have not yet disclosed the evidence on which the charge is based. There is a suggestion that, immediately after the accident, Hayden briefly denied being the driver, or pretended his girlfriend had been driving. The latter seems far-fetched because his girlfriend does not have a licence, and she was clearly impaired at the time. Hayden denies both suggestions. He says a police officer asked the group who was driving, and he responded by saying he was, and handing the officer the keys to his mother’s SUV. The officer then moved the vehicle. Also, no one disputes that Hayden provided police with a thorough account of the events in a video-taped statement two days after the accident. Police have praised his cooperation. Police also charged the couple who own the home where the party took place with “allowing drunkenness on their property,” an offence under the Liquor Control Act. I am sceptical of the charge against Hayden. Police have been under extreme pressure to produce results from their investigation, and you have to wonder how this played into the decision to lay a charge—any charge. Given the chaotic scene that followed the accident, and Hayden’s obvious distress, it seems at least possible any uncertainty about who was driving arose from simple misunderstanding. However, if there is any lesson to be drawn from the brutal treatment Hayden received on social media and in the pages of the Halifax Chronicle Herald, it is to remember that all citizens are presumed innocent until proven guilty, and await the evidence that’s presented in court. 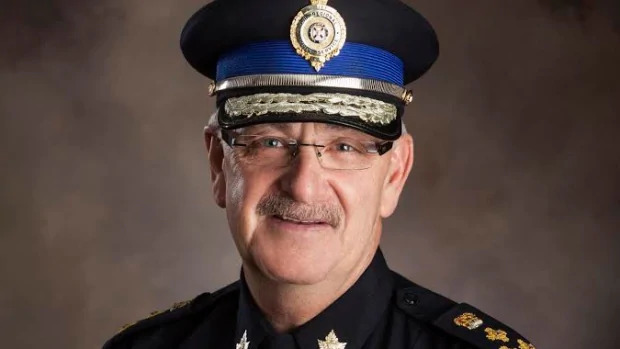 The police news release also included an extraordinary tongue-lashing Police Chief Peter McIsaac directed at the news media. It makes so many compelling points, I include it here in its entirety, and urge everyone to read it in full. This was a very tragic accident that led to a very complex and difficult set of circumstances to investigate—multiple involved persons and witnesses, initial confusion at the scene over what actually caused the victim’s injuries, and the additional questions about the circumstances leading up to the collision, including a nearby graduation party. The complexity of this investigation was further complicated by a wealth of misinformation—based on assumptions, opinions and rumours—circulating in the community and on social media, and then reported in the media, generating significant criticism towards the police. It is extremely frustrating and disappointing to not be able to comment directly on this kind of misinformation—for example: the discrepancies between what was being said in community conversations and to the media in contradiction to what was being provided to investigators in official witness statements; the fact that investigators maintained daily contact with the victim’s family; and, the evidence available to support that the driver of the vehicle was not impaired, and that officers had zero probable grounds to issue a breathalyzer demand, including multiple observations, interactions and conversations with the driver—during the hours before the collision, at the scene, and in the hours after the incident—by officers trained in standard field sobriety testing and as breathalyzer technicians, as well as witness statements and audio evidence in the minutes immediately following the collision. This causes challenges for our investigation, but collecting and verifying information is part of our jobs and we manage that. What’s more disappointing is how the misinformed sensationalism was hurtful and harmful to the people involved in and affected by this incident, as well as their families, to the point that their personal safety and well-being were put at risk. During an investigation, we simply cannot say anything that might jeopardize or influence that ongoing investigation; and now, with two court processes in the future, I cannot speak specifically to evidence that will be presented there, but I trust that it will fill in the blanks for anyone still left questioning. These charges are the result of our obligation to the facts and evidence presented to us, and our accountability to the law. I hope they also serve as a strong reminder of the risks and liabilities involved in hosting parties where alcohol is knowingly served and that hosts have a duty of care to ensure the safety of their guests and others who could be impacted by them leaving the party – especially when they are supervising those under the legal age for consuming alcohol. With complete confidence in the actions of our officers and our unfolding investigation, I actually requested that SiRT conduct a parallel investigation to provide independent oversight for transparency and public interest. However, with no officer wrongdoing in question concerning the cause of the collision and subsequent injury and death of the victim, this investigation did not meet the requirements of its mandate. I’m aware that there have been additional demands for SiRT and the Department of Justice to become involved in an independent investigation, and should that happen we will cooperate fully, completely and with continued confidence in our actions that night and throughout the course of the investigation. Similarly, if anyone has concerns about police conduct, there is a process in place to file a complaint to the Office of the Nova Scotia Police Complaints Commissioner for review.